Mary Agnes (Collerain) Alford peacefully left this life and went to be with her Lord on August 26, 2013, surrounded by her family in her home north of Caldwell. The family will host a visitation for friends and relatives from 6 to 8 p.m. Wednesday, August 28 at Strickland Funeral Home in Caldwell, Texas. Funeral services will be held at 10 a.m. Thursday, August 29th, at First Presbyterian Church in Caldwell with interment to follow at Caldwell Masonic Cemetery. Mary was born in Houston, Texas, on July 27, 1940 to Joseph B. and Mary Alice Collerain. After graduation from Texas A&M, her father volunteered for active duty as an officer in The United States Army Reserve, and continued in that capacity for the duration of the Second World War. As such, Mary spent her early years living on various Army Posts. Small children were something of a rarity on military bases during the War years, and Mary loved to tell stories of the time she spent entertaining the troops (including wounded soldiers) with medleys of song and dance taken from early Shirley Temple movies. After WW2, Mary's family returned to the Houston area, where her father resumed his employment with Humble Oil. After graduation from Marion High School in 1958, Mary enrolled at the University of Texas in Austin, where she studied English and Education. She joined the Delta Gamma Sorority, an organization with which she maintained ties throughout her adult life. Mary obtained a Bachelor's Degree from The University of Texas and later a Master's Degree from Texas A&M University. While attending the University of Texas, Mary met Lee Alford III, a Longhorn football player from Caldwell, Texas; the two were married on December 22, 1962, and settled in Lee's hometown. In 1964 and 1966, the couple was blessed with the arrival of two sons, Lee Alford IV and Michael Bruce Alford respectively. When Bruce reached school age in 1971, Mary took employment with the Caldwell Independent School District, where she taught English to and influenced the lives of several generations of Caldwell's Youth. She eventually became Head of the English Department, was Caldwell's first teacher of English as a second language, and was the faculty advisor for the Hornet yearbook during the majority of her teaching career. Declining health dictated that Mary retire from teaching in 2000, after 29 years with the Caldwell Independent School District. 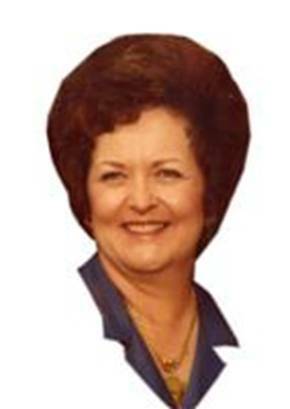 Mary was active in a number of civic organizations, but was most proud of her work along with many other people to re-establish the presence of a full care hospital in Burleson County after the closure of the Goodnight Memorial in the mid-70's. Mary was preceded in death by her parents, (Joseph B. and Mary Alice Collerain Sr.); her parents in law, (D.L. and Catherine Grace Alford, Jr.); and two siblings who died in infancy-Blanch Ann and Norman Randolph Collerain. Mary is survived by her husband of fifty years, Daniel Lee Alford III: son, Daniel Lee Alford IV and wife Abigail; son, Michael Bruce and wife Cindy, grand-daughters Emily, Verity and Amity. Mary is also survived by brother Joseph B. Collerain, Jr.; Sister Janet Gilmore and husband Randy; sister Joan Horak and husband Garland; brother-in-law James J. Alford and wife Kathy; in addition to numerous nieces/nephews and grand nieces/nephews. The family respectfully requests, in lieu of flowers, that those wishing to remember Mary please make memorial contributions to Hospice Brazos Valley. AAFA NOTES: SSDI records confirm the birth and death dates of Mary C. Alford (SS# issued in TX), last residence not listed. For more information about this family, see AAFA’s published genealogy, Known Descendants of Halcut & Harriett C. Alford. Her husband’s lineage: Daniel Lee 1940 TX1, Daniel Lee 1915 TX2, Daniel Lee 1876 TX3, Halcut 1854 TX4, Richard Erwin 1818 GA5, Halcut 1789 GA6, Julius 1750 NC7, Lodwick 1710 VA8, James 1687 VA9, John 1645 VA10.